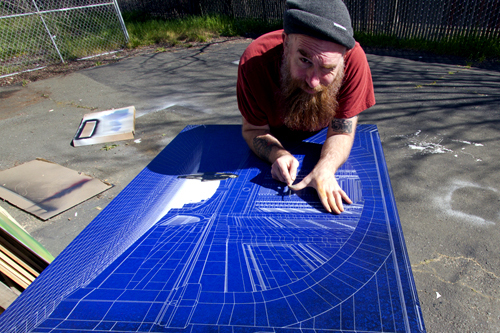 Acclaimed New York-based street and stencil art visionary LOGAN HICKS today announced Thin Veils And Heavy Anchors, a new solo showing of his work in Los Angeles, CA. 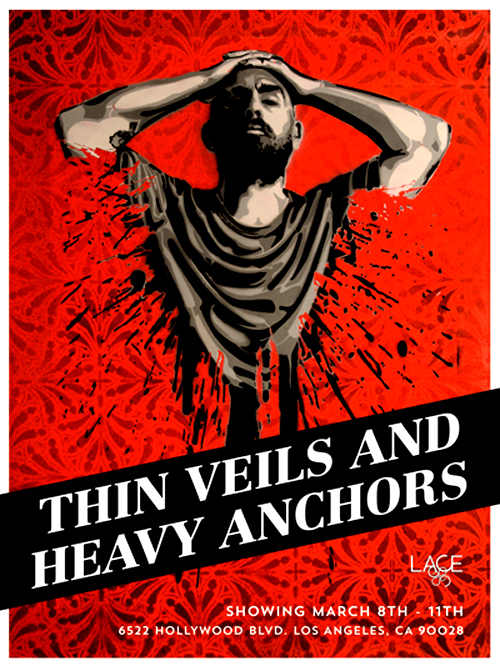 Thin Veils And Heavy Anchors will debut at LACE (Los Angeles Contemporary Exhibitions) on March 8, 2013 and run through March 10, 2013, and marks a triumphant return for an artist whose works have been shown in Auckland, Cape Town, Shanghai, Taipei, and just about everywhere in between. 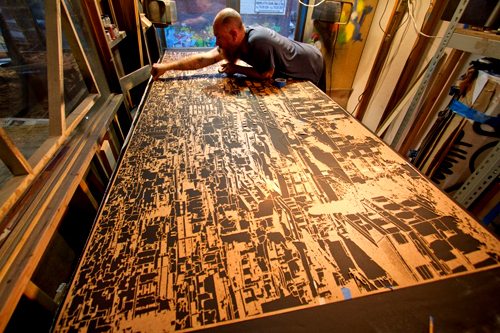 Originally a professional screen printer, Hicks’ work has gained considerable global recognition for its exploration of the urban environment and its ability to capture the sometimes-mundane cycle of city life in a haunting, yet highly refined, manner using hand-sprayed stencils. His new body of work has evolved. 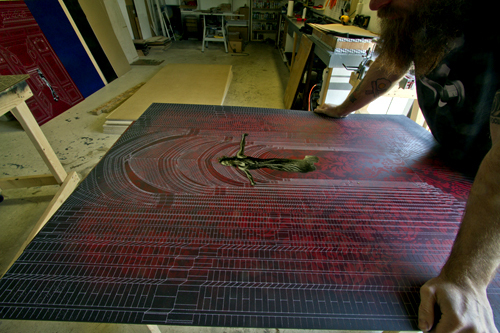 The paintings have moved inside: from endless streets of colorful building facades up to six feet in scale to more intimate interior settings; from exterior cityscapes to the interiors of various buildings; and from distant lights to the direct gaze of figures who are in the process of walking away or climbing up stairs; shapes and curves of emotionless figures juxtaposed against the rigid linework of architecture bring attention to the contradictions of the city.